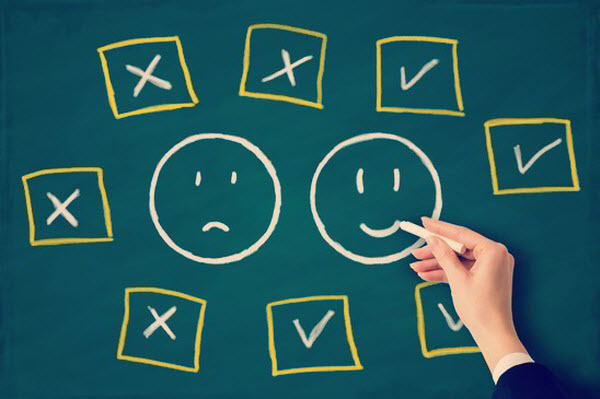 July 16, 2014 - Customer Service TipsHow to Acquire More Customers? You must know about features as well as benefits that live chat software like Subiz brings out when you installed it on your website. One of these benefits is to let you know the availability of your support team. 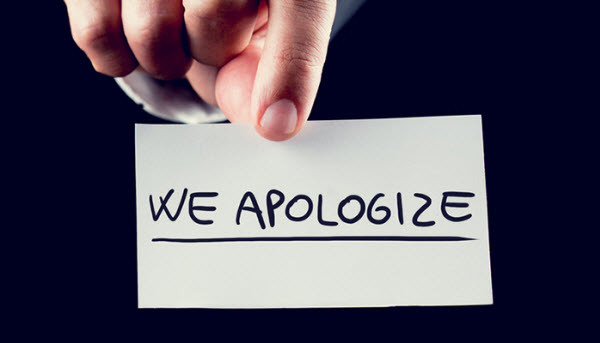 In other words, you will know how long customers receive your reply. Now I introduce you to figure out the “Waiting time” in Subiz live chat software. In real life, when you call out a name, you really want to have responses as soon as possible. Customers ask you a request (Request chat) have the same thoughts. 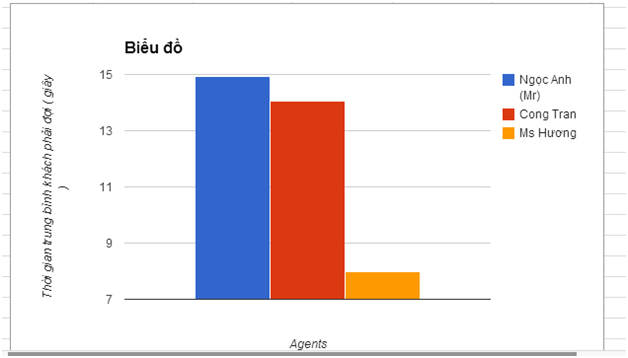 Subiz sees clearly that demand and create the report about Waiting time. It measures the time visitors get replied and the unit is second. 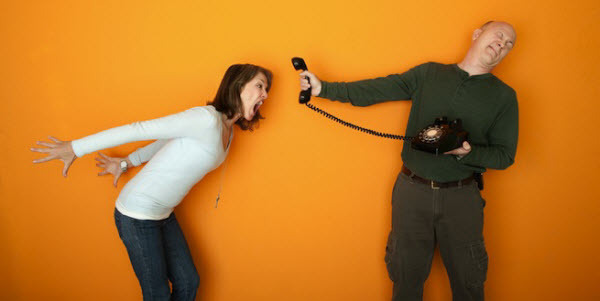 Subiz records Customer wait time every conversation. All you need to do is go to tab History, click Export to download chat data under csv file. You can open csv file by Excel or Notepad. Usually, csv file is created to let you easily login to another tool to measure. It’s pretty hard to see directly on csv file. I will introduce you a simple way to report waiting time by Google Drive. 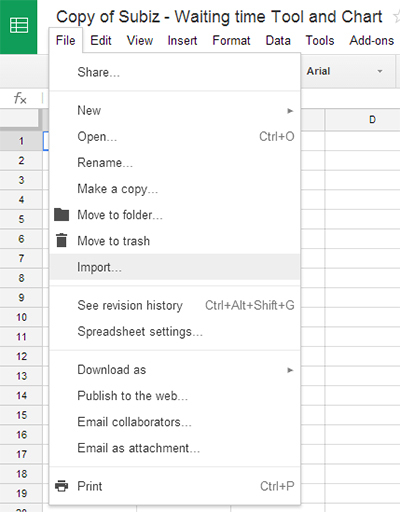 Sign in to Google Drive (Google Doc) and go to Copy of Subiz – Waiting time Tool and Chart . Make a copy and save to your Drive. 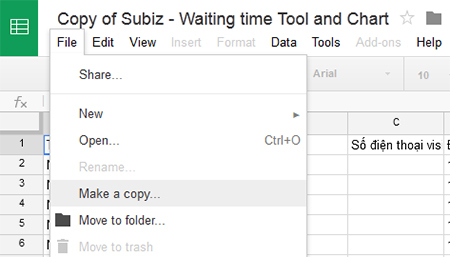 Next, login to Google Drive and open file “Copy of Subiz – Waiting time Tool and Chart”. Switch to Sheet “history” to clear old data. 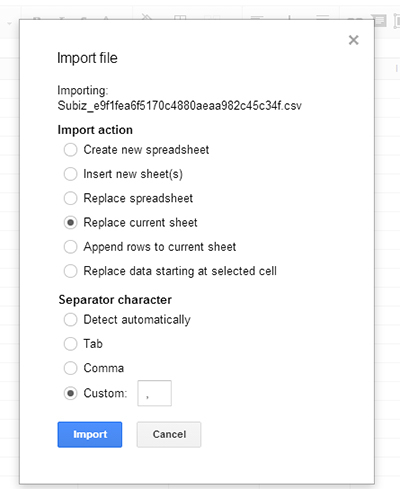 Start importing Subiz’s data you’ve just downloaded above into this sheet. Now, move to Sheet Chart to see the chart. With this tool, you can create more charts or functions suit your report. Subiz suggests you using Waiting time as one of the important KPI to manage the support activities. You should create the report once a week or once a month. Marketing staff at Subiz Favorite quote: "Dream as if you'll live forever. Live as if you'll die today".